What a brilliant movie and what a tragic loss of life. In some ways it reminded me of watching Control which I also found hard to enjoy knowing the inevitable tragic end. I loved that the interviews were all just voiceovers, with only their names shown, whilst the archival footage kept rolling. It meant momentum wasn't lost and kept the focus on Senna. 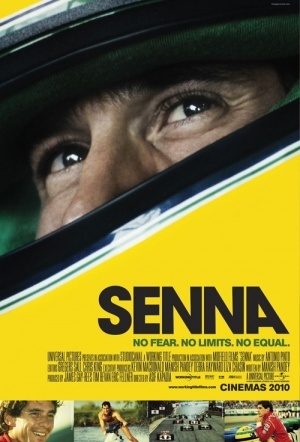 I have no interest in F1 but found this documentary utterly fascinating from the opening scene to end of the credits. I recommend it to all, but suggest you bring tissues.